If there’s one thing I have learnt in 2018, it’s this – the very best time to start something is … NOW! Not tomorrow. Not on Monday. And DEFINITELY NOT IN THE NEW YEAR! The reality is this – if we are feeling out-of-sorts with ANY area of our life, it means that we need to change it immediately. It’s very easy to set a goal, slightly less easy to come up with a plan of how we are going to reach that goal, and way harder beginning that very moment! I’m not sure why we find it so easy to kid ourselves. But that’s exactly what we do when we choose EASY over RIGHT. It’s easier to press the snooze button than to get up and get dressed in our workout gear. Yet it is harder to live with the resulting feeling of sluggishness throughout the day. It’s easier to eat the 4th slice of pizza than it is to say “no” to ourselves. But harder to feel confident when our clothes are getting tighter and we feel bloated and tired. So if you are in ANY way feeling dissatisfied with your health, body, fitness or stress levels, don’t take the “easy” way out by saying that you will sort it out in the New Year. Sort it out TODAY! I don’t care WHAT you have eaten over the weekend – make outstanding choices today! Fill your plate with colourful, balanced and energy-giving foods. Fill a massive bottle with water and drink it in the car. Go for a walk when you get home from work. Do some stretches while watching TV and release those tight shoulder and back muscles. Have a long relaxing bath or shower – without looking at your phone! Start now. Start today. Feel the power of taking control and watch how your self-respect grows in proportion. Tomorrow is not promised to ANY of us – so Do The Next Right Thing NOW. You are made of powerful stuff – you’ve got this! PS: GET SNAPPING & WIN!! 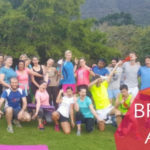 With only 1 more boot camp left for 2018, we are going to give you the chance to WIN the last boot camp of the year… All you need to do is: snap a shot of either your SUNRISE/ SUNSET workout, post it on Facebook and tag Adventure Boot Camp South Africa & you will be in the running to WIN. Winner announced on 14 November, get snapping! Hi would like to join from 19Nov to 7Dec if possible.